I will fess up, this year hasn’t been overly easy for us in the pet blogging arena. We lost so many good friends this year and many were just unexpected. So today I’m reflecting on my pals that have departed. We will remember them each and every day. So today I do have a reason to be thankful, believe it or not. I’m extremely thankful for the new bloggers that have joined our community this year. I’m thankful for each of you new bloggers that found us and we enjoy all of your blogs. You’ve joined a community that comes together in a crisis, and we’re here to celebrate each of your milestones with you. You may not realize it now, but you’ve come across a world filled with love and joy. We’re thankful for that and thank you for your continued support of us and all that we do. Don’t forget to spread the message of adoptions, they make the world a better place for all of us. Remember, adopt cats, we deserve it!!!!! More Forever Homes More Often! Purrrrr! Zip! Later! We love you guys, and yes, we advocate tirelessly 365 days a year for cats, because we believe EVERY cat and kitten deserves a loving, safe, forever home. Because they’re incredible. Because they’re the BEST. This post is just one of a zillion reasons why I love you and everyone else does too! I’m thankful you’re my friend, Brian! And I’m so thankful for this community. We have such an awesome support system here. Love this post pal. You said it so well too. It is an exceptional support system when times are tough or even when they are happy. I am blessed to be a part of this unbelieveable community! 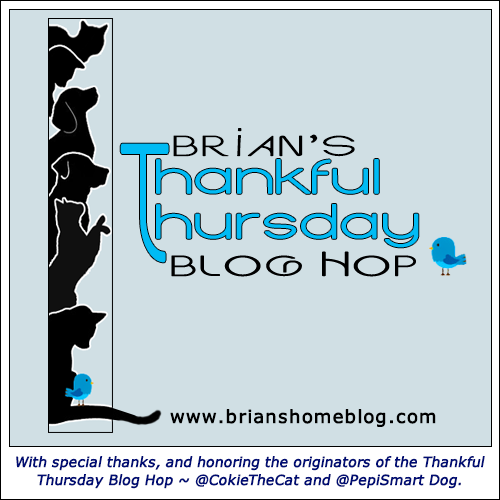 We are glad to join the Thakkful Thursday blog hop Brian! Blogging has been tough on our hearts this year. I am so happy for our new friends like Brinley and Kinley Westie and Da Phenny. ♥ We will always miss the friends before them. 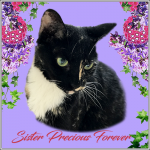 It is with sadness that we think about the pals we lost OTRB. They are forever in our hearts. However being Thankful brings out the beauty in our world, and eases the sadness. It is because of compassionate kind people like you Brian, that we can be thankful and know the earth is a better place because of people like you. We sure are so thankful for all you over there at Brian’s home. You just work so hard to find lots of kitties and dogs homes and that is very important. You all have a great day. Brian, it is terribly sad when friends pass away, but you’re right about this community. It is so supportive, in both the good times and bad. Thank you for what you do to help animals get adopted and find their forever homes. It is always sad to lose the ones we love : pets are part of our family. 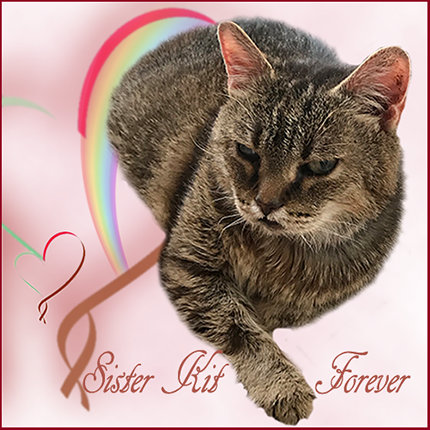 We find ourselves pampering our cats even more there days as 14 and 15 year old senior citizens (one of which still jumps 4 feet off the floor up the doorjamb. So many lost this year. I am thankful to have found your blog. Have a great day. A few new bloggers have come out of the woodwork indeed, always interesting to see what takes seed. You are so right, Brian. So many have gone this year. But that is the way of the word. And sometimes, there are good surprises too. We are still smiling at the return of our old friends Dragonheart and Merlin to blogging after an absence of several years, and the same for Goldie and Banshee. We believe in CARPE DIEM. Each day is to be treasured for its friends and smiles. You are right new bloggers are certainly something to be thankful for. We love making new friends. Brian, é muito bom tirar um tempo para lembrar dos amigos que partiram. This is just a lovely post, Brian. We are thankful too. And especially thankful for your friendship! It’s so true we have lost too many this year. It gives us all a sad. But, we know the world keeps spinning. We do hold hope that the love that is held for our RB friends will be shared with a new one and then that love will continue onward. 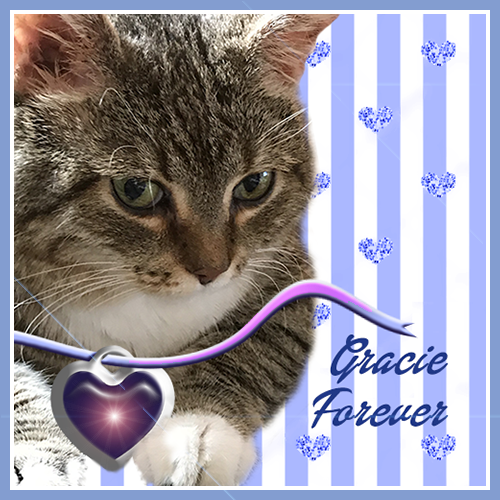 We are very thankful for all our blogging friends, for their purrs, prayers, and support. We are so glad we returned to blogging, even if Facebook at times seems to be more popular. I’m thankful I found this community. 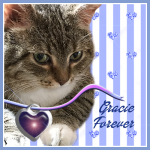 I loved the Twitter Anipal community but they all either went OTRB or moved on. I’m thankful for you too. Brian, we are thankful to have you and your family as friends! And yes, for new bloggers, you have fallen upon a beautiful community full of love and support and joy! We feel like a lot of our old blogging friends have dropped off (from posting) this year too, and those seem like a loss of a sort as well. So we are also thankful about the new friends we have made this year, and those that are out there who we haven’t even found yet! We are looking forward to more new friends we can find in 2017. We too are so furry thankful fur this truly pawesome community and all our amazing blogging furriends from all corners of the earth! I’m thankful for you, dear Brian, and your family’s tireless advocacy for a better life for cats. A rough year, indeed. I am thankful for you, though. HUGS. You kitties are so sweet. The online community truly is a wonderful and caring place! The rainbow bridge was particularly hospitable this year welcoming so many four-legged angels. We are thankful that despite all these, the kitties are hanging in there making humans happy continuously. What a wonderful list of things to be thankful for! 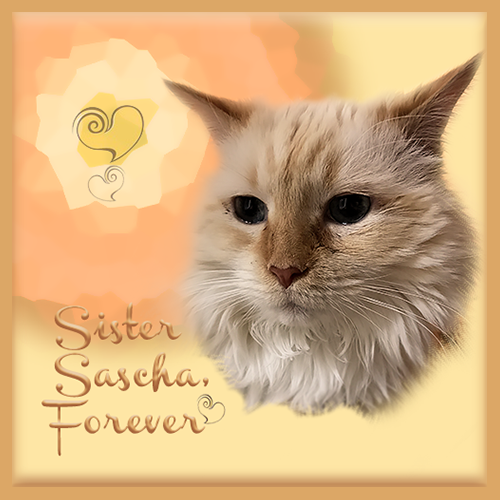 We are so happy to be a new part of the cat blogging community! Yep Brian it’s been a rough year. But you’re right, this community is amazin’. We’re so glad we’re a pawrt of it and even happier to be ya’ll’s furiends. Big hugs ti all. We love the pet blogging community. Everyone is so supportive of one another. And we love you, Brian, and everything you and your family does in support of pet adoptions. I feel like a newbee to the pet blogging world, but I love it so much, and have found some real friends in the blogosphere. I cry and laugh, and really appreciate comments to my posts…it’s a wonderful community! Glad that I found your bloggy, Brian! Happy New Year! We’re so thankful that you’ve been our friend since before we came to live with Mom Paula. It’s so nice to meet new bloggers and reminisce about those who are no longer around. Mee-you Brian that was so heartfelt!!! LadyMum told mee when mee ferst came here that mee wood meet amazin katss an doggiess an horsess an Hu’manss an shee was so-o rite!!! An yes wee lost far too many furendss this year!!! Fankss fur beein mee furend; youss’ meen thee werld to mee! You said it better than I ever could, Brian. This year *has* been very very sad in our community. However, the community continues to thrive – with all of us watching out for each other. It’s so special. I do hope that we keep getting new bloggers joining us. Thanks for being our friend. We are thankful for that. You are right, Brian, it has been another year of too many friends going to the Bridge. The blogging community is wonderful with all the support and comfort it gives. Me and my mum are thankful to have you and your family as our friends. 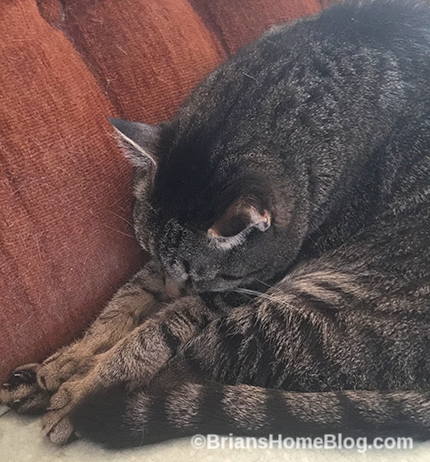 The losses this year–especially in the cat blogging space–have been so hard to bear. And I’ve had a few losses of my own this year that made writing about cat lives that much harder. But you’re right. The community we’ve formed is so kind and so caring and so helpful. The community inspires me. And the community picks me up when I am low. That’s a gift I will always be thankful for! You are so, so right, Brian. The pet blogging community is amazing, and it’s members are loving and supportive friends. Thank you for being such great friends to us. We love and appreciate you! The pet blogging community is truly a unique place. A place full of caregivers. I have never been surrounded by so many generous, compassionate people until I found fellow pet bloggers. So much loss this year, but you are right, much to be thankful for.